Diwali Photography Tips and Tricks: The festival of lights, Diwali is here, and your residence and the colors surrounding it are definitely full of colors. Lights, rangoli, candles, and sparks are fed and create a sense of the mood of celebration. 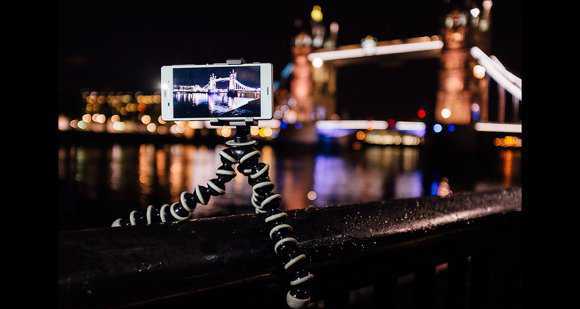 Protecting the best moments is one thing we all want to do, but when it comes to capturing it with smartphones, it sometimes becomes difficult and difficult. But if you are planning to shoot fireworks, a close-up of Dia's flame, or a bright shot in Rangoli, in a dim-light condition, there are some tricks you can use to produce at least good output Can follow. Light Scenario In this article, we have compiled four tricks during this time of taking night shots for this festival which you can consider. To get a good shot at night, good exposure is necessary to polish the image. Exposure is basically determined by three setting points: aperture, ISO, and shutter. Although these modes already were related to high-end cameras, smartphone makers have now started implementing it on mobile phones under Moniker Pro Mode. This mode allows you to adjust the exposure value, shutter speed and manually focus. Adjusting the shutter speed is important because it determines that the image sensor determines the duration of exposure to the light. For a bright image in low light, you can use the long shutter speed, for example, 1/200ths, the 1/100th second which will allow more light in the sensor. Apart from this, you can also increase ISO levels for decent shots in a dark environment. However, we would advise keeping the ISO at the proper level to avoid infiltration in the frame. If you want to shoot fireworks, then it is likely that a DSLR can give better results with good details, exposure and color balance. But capturing the same effects with your smartphone can be a difficult matter. While it requires patience to wait for the right moment and snap the shot, but someone needs to keep the device stable to avoid static images. There are some smartphones that come with dual-OIS or OIS and EIS but these images are not as powerful as stabilizers DSLR's vibration mitigation (VR) or image stabilization (IS) lenses. To protect shots from blurring, you can use a mobile tripod or a glyph stand. Since low-light shots require more shutter speed, these devices will be easy to get faster photos at night. It is necessary to create a frame while shooting a photo. Although we pay attention when using a DSLR, we often forget when capturing photos with our smartphone. When shooting fireworks or sparklers, it's better to write the first frame instead of moving your smartphone to get a shot. You can adjust the angles on a tripod to the device and then just press the shutter button to capture the explosive light. You can also make light marks of sparklers, while keeping the device stable at one point, adjust the ISO and set the long shutter speed. To get a bright shot in low light, we often switch to the LED flash with our phone's camera. LED flash helps illuminate the subject, although the colors are washed and the image is rather flat. To avoid such a situation, we will advise pasting the light present in place wherever possible. If you have a 'Night mode' option in the Stock Camera app on your smartphone, you can use it for low-light scenes. Mode inspires the image to a certain extent, however, it brightens the image that you otherwise miss while shooting with auto mode.